Working together with our city officials and volunteer leaders, we have decided to proceed with the Huntsville Heart Walk scheduled for this Saturday, April 13th at the Courthouse Square in Downtown Huntsville. 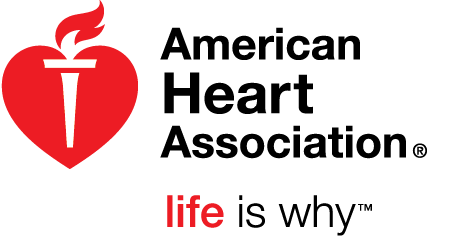 We are inviting everyone out to support the American Heart Association’s efforts to improve the community’s overall health and well-being and to build healthier lives, free of cardiovascular diseases and stroke. Parking is available in city garages located on Clinton Ave and Gates Ave as well as public surface lots. Bring your raincoats and get your exercise in Saturday morning before the severe weather rolls in Saturday overnight. Donations: If you have money to turn in before the event Saturday, please bring it by IBERIABANK in Downtown tomorrow from 2pm-4pm. The address is 400 Meridian Street N Suite 108 Huntsville, AL 35801. You can also turn in your donations at the donation tent (tent #7) on Saturday. - 8:00am - Registration/ Activities begin- Visit the Mobile Medical Unit for your Blood Pressure Screening, activities include games, caricature drawings, balloon man, Top Walker area, and LOTS of SWAG from our many sponsors! - 8:30am - Hands Only CPR Demo from the stage area. The First 100 to learn CPR will receive a FREE t-shirt. - 8:55am - Survivor Recognition and photo- Survivor Lap. - 9:30am - Walk begins! – come take a walk with us. Thank you to all you who have supported this event! We are SO close to our $525,000 goal and 2 days until the event! See you Saturday!